Born out of pure love and respect for my culture, earlier this year I decided to start an event series of supper clubs called YSM8. Yes mate is my motto, my attitude to life – positivity, oneness and collaboration. 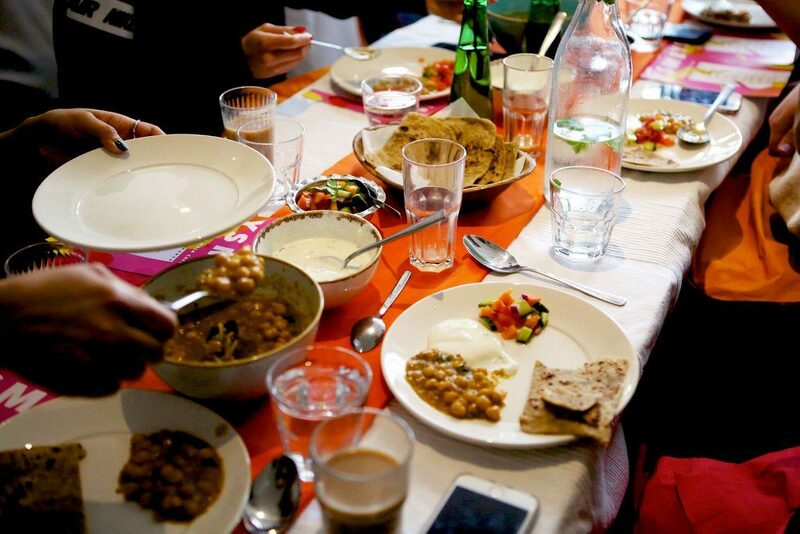 The inclusive events focus on storytelling, whilst sharing home-cooked vegetarian Punjabi food. Raised in a Sikh home in south east London, I want my events to reflect the tastes and sounds I have grown up with and continue to be inspired by. YSM8 encourages people to seek out new cultural experiences through food, friendship and conversation. It’s about telling a story through food and shining light on nostalgic vegetarian dishes. Ever since I can remember, I’ve always been creative. Whether I was attending Bharatanatyam classes (a classical Indian dance form), recording my own radio shows onto cassette tapes, pestering my dad to give me photography lessons or rummaging through my mum’s sewing box, I was constantly exploring ways in which to express myself. In some South Asian communities, if you want to study a creative subject then you have to be prepared for the back-handed comments that come with that. It is often not seen as a “professional” subject nor well-paid industry. Looking back now, my parents never suppressed my imagination nor my appetite to learn new things. They have always supported my ideas and encouraged my creativity. Their open mindset has enabled my career and side hustle projects to flourish. 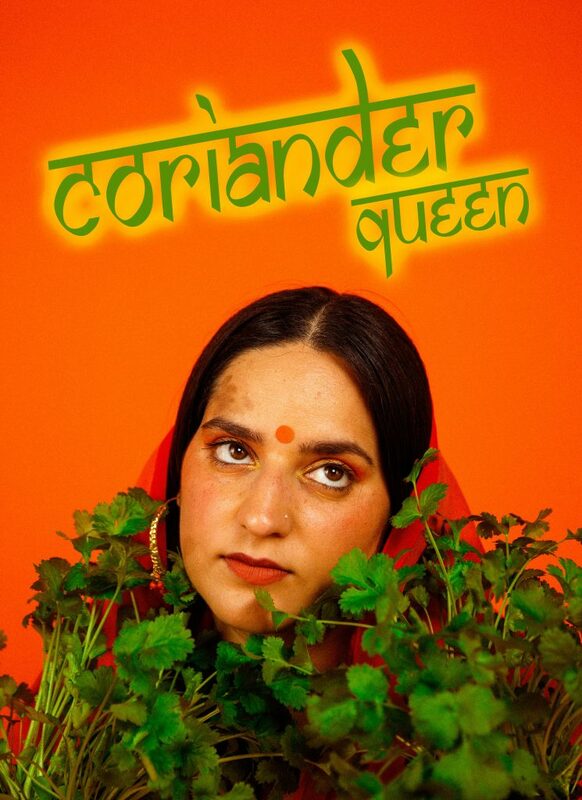 At work, I’d always be joking around with colleagues about starting my own street food venture, which gained me nick-name of “Coriander Queen”. Lunchtime often consisted of me taking in left-overs of veggie keema (made from soya mince) smoked aubergine, chana dal and falia bhoga (split chickpeas and runner beans), okra with onions or misi roti – a chapati flatbread made from moong/masar lentils and wholemeal flour, then cooked in ghee or oil. For the first time in my adult life, I felt comfortable bringing and sharing my own food into a workplace. I loved explaining how the dishes were cooked and what condiments we ate this with them at home. People were interested in my hearing my story and I didn’t need to hide or tone down my Indian identity. I was accepted for just being me. That’s the polar opposite of how I felt growing up and attending school. Just like chef Eddie Huang in hit tv series Fresh Off The Boat and many other children from immigrant backgrounds, at school, I wanted to fit in, not be made fun of. With a degree in textile design and a solid career in trend forecasting, I decided to board the freelance train and go back to basics. So I booked a trip to Peru to explore my love for textiles, people and food. I remember WhatsApp-ing my brother before the flight home and asking him what mum had made for dinner. “Saag! !” he replied. That one word left me salivating the whole journey back home. Saag is a vegetarian dish, originating in the Punjab region of North India. It’s a labour of love as it takes approximately five to six hours to make. Spinach, broccoli, mustard leaves, fenugreek leaves, ginger, garlic and chillies are boiled in pan then sprinkled with a handful of maize flour and a hearty amount of ghee. Separately, you make your thruka (the base of most Punjabi dishes), which consists of onion, ginger, garlic and chillies. 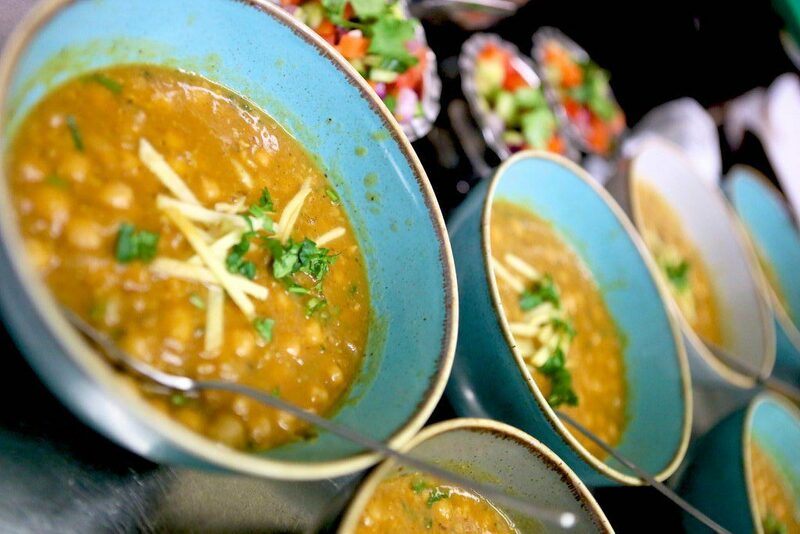 Just before serving, you add fresh coriander, a dollop of butter and eat with maki or normal roti. I came home from Peru and inhaled two wholemeal and one maki roti at my mother’s table, without saying a word. In my house, we don’t use a special dough machine. We make our roti by hand, every single time. To this day, I still get excited when my roti balloons up full of steam on the gas flame. When I’m making a dish with my bare hands, the organic process takes me back to my childhood and of learning the basics of cooking. I was taught to always cook and serve with love. Oneness and equality are two core values of the Sikh faith. We practice these values through the form of Sewa which literally translates from the Sanskrit word to “selfless service”. Langar is another fundamental part of Sikhism, where pure vegetarian Punjabi food is served on a daily basis, free of charge to anyone, regardless of colour, gender, status or faith. The food is cooked in a communal kitchen and everyone sits together on the floor in a dining hall. Music is also an important part of YSM8. I have been influenced by an eclectic mix of genres. Food doesn’t just nourish our bodies, the people around our table and the conversations we have to nourish our soul. It comes down to the values that have been instilled in you by your family. I want to share this with the worfrom my dad’s love for guitar legend Carlos Santana and Motown classics, to the sounds of my brother playing the tabla and listening to Ustad Nusrat Fateh Ali Khan (a pioneer of devotional Qawwali music). I love DJ Murlo, Onra, Dabeull, Sade, Ta-ku, Erykah Badu, A Tribe Called Quest and Middle Eastern artists such as Homayun Sakhi, Qais Essar, Noor Jehan and old school Bhangra hits. I always have a brainstorm with my mum, dad and elder brother about the menu. It’s important for me to hear their thoughts about the food we will be serving. YSM8 was my vision but it wouldn’t have been possible without their love and support. The future is about collaborating with other home-cooks who are keeping their culture alive and connecting with their ancestors through food. I am interested in hearing about their food rituals and home comfort dishes.